Antigen: GST fusion protein expressed in E. coli corresponding to aa 2577- 3056 of full-length ATM. Preservatives: None. Available on request. This antibody recognizes full-length ATM, a 370 kD nuclear phosphoprotein, which is involved in the autooal recessive disease ataxia telangiectasia (AT). ATM belongs to a novel family of proteins associated with cell cycle regulation and response to DNA repair. The C-terminal region has extensive homology to the catalytic domains of phosphatidylinositol 3-kinases (PI3 kinases). Its usefulness to monitor altered ATM expression in cancer is under active investigations. 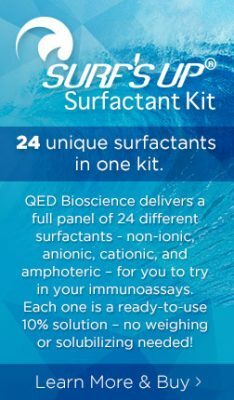 Immunoblotting: use at 1-10 ug/ml. Immunoprecipitation: use at 1-10 ug/ml. Positive controls: Raji or Akata cells. This antibody is stable for at least one (1) year at -70°C. Avoid multiple freeze-thaw cycles. Chen, G and EY-HP Lee (1996) J Biol Chem 271: 33693-33697.